An entry level model in our tennis line, the new GEL-Dedicate® 4 Tennis shoe features both Forefoot GEL® Cushioning System and midfoot Trusstic System®, providing a great combination of comfort and stability. 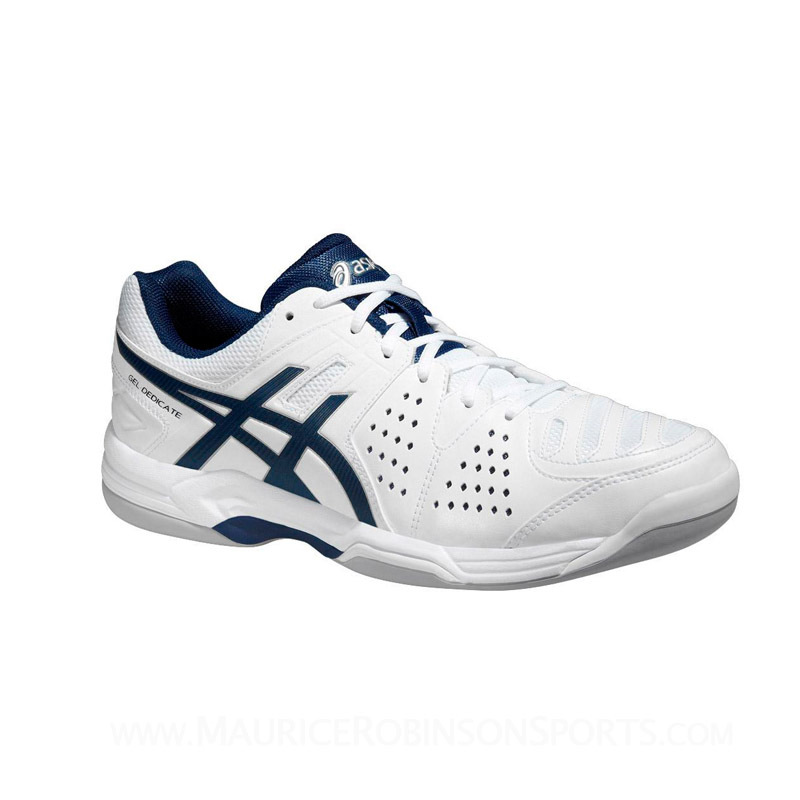 A Solid Rubber Outsole and flexible upper design makes this the perfect choice for players with a consistent game that needs a shoe to match. Do you own the Asics Gel Dedicate 4 Carpet White-Navy-Silver?